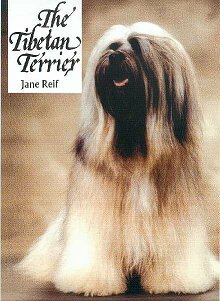 Jane Reif's Tibetan Terrier book is available from the author. As you probably know her previous books on the breed have been out of print since last year. The new book takes a broader look at the Tibetan Terrier, including breed photographs from around the world each selected for outstanding type. In addition to chapters on the origins and development of the Tibetan Terrier, the new book contains information on all the ages and stages of the breed, from puppies to older dogs as well as how to recognize and choose a Tibetan Terrier. 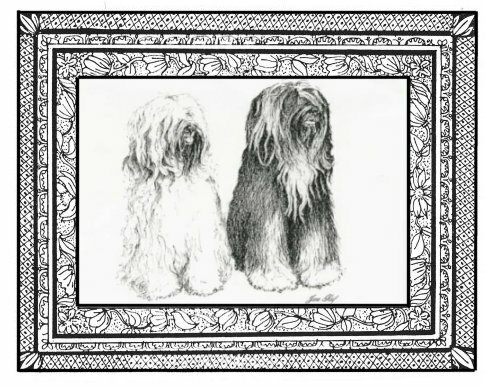 Chapters on grooming and showing are included, naturally, but emphasis is placed on the versatility of the Tibetan Terrier. This is a breed that welcomes new and exciting venues. There are over 200 photographs of Tibetan Terriers in conformation and couch potato status as well as a color section showing the wide variety of coat colors and combinations of coat co1ors found in the breed. From a more technical point of view,the new book carries all the major breed standards (early and current) from around the world, extensive references and addresses of value to the fancier, sample contracts, and even a list of suggested Tibetan dog names. From it's ancient beginnings in the harsh, often unforgiving climate of Tibet to modern times (a world that can be equally unforgiving at times) Jane Reif's book covers a wide panorama of information essential to all Tibetan Terrier fanciers. Call 1-608-877-0328 Voice and Fax for further information at this time or Click Here to print out Order Form to send with your payment to reserve your copy now.